Weight Watchers Magazine is, not surprisingly, a top publication for those looking to either lose weight or keep off the weight they already lost. With six issues each calendar year, this bi-monthly magazine offers up quick, easy, healthy recipes, advice on how to eat smart and other tips on getting in shape and leading a healthy lifestyle. 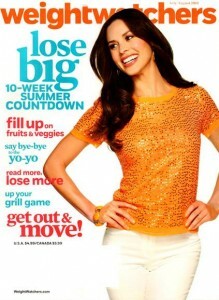 For those looking to shed some weight through food, diet and lifestyle changes, Weight Watchers Magazine can be a helpful resource and useful tool. Looking for another food magazine? See our Top 10 List or view all current deals.